I have been really pleased with my Otterbox case for my new iPhone 7 Plus. I was advised bu other owners that these were a god product and I have found that true. the case is a solid but good looking and fits the phone quite snug and secure. It makes taking it into places like my workshop much safer. Would not hesitate to recommend this product. 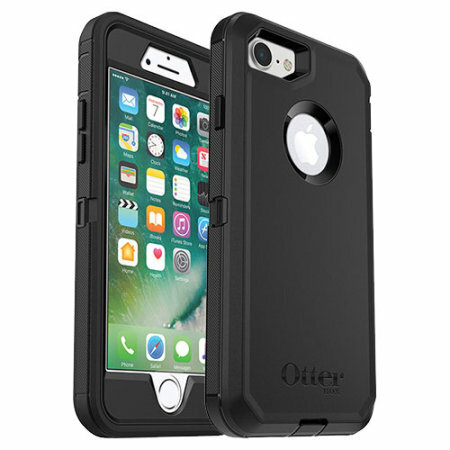 This excellent case from Otterbox is the ultimate protective case. The built in screen protector is, for me, the best part. I hate those sticky protectors, I just can't get them on without bubbles. What a pain! This eliminates that problem. The case is very bulky, tripling the device width and doubling its weight. But if, like me, you suffer from butterfingritis, this case is a must. It's all finished off in a grippy cover and a very useful holster. Great for work! Great company fast service, and fast delivery. I ordered an iPhone 7 plus otter box, and everything g went so smooth, great service, and pricing was great too, I am in the process of ordering more gear for my iPhone 7 plus right now. I am so glad I found mobilefun online. I highly recommend them.